7 What about the football? Please use the Eventbrite page to register. The demonstrations will be held in German. If Germany wins against Greece this Friday, then the The semi-final will take place on the Thursday of the Demo Camp. Have no fear, though, football fans! As you can see from the demo list, we will be finished before 8pm, leaving us plenty of time to get to our preferred place to watch the match! We have six demos for this Demo Camp. One important architectural concept of the Eclipse 4 application platform is the strong separation of application model and rendering engine. As a proof of concept, Kai will show prototype rendering engines that use JavaFX 2.1 and Swing as UI technologies. Testing complex use cases often involves switching between applications during the test - be it between two differerent applications (admin : full application) or two instances of the same application (to test database replications or multi-user support). This demonstration shows how Jubula supports application hopping using the concept of test jobs. Application frameworks have become an integral part of today's software development - this is hardly surprising given their promised benefits such as reduced costs, higher quality, and shorter time to market. But using an application framework is not free of cost. Before frameworks can be used efficiently, software developers have to learn their correct usage which often results in high initial training costs. However, framework usages frequently follow typical patterns that manifest themselves in source code of applications that use these frameworks - and thus can be extracted from code and directly reused to guide novice developers when learning these frameworks. The Eclipse Code Recommenders project facilitates this reuse of collective knowledge by automatically collecting such information from code and brings back this knowledge into the IDE by means of intelligent code completion, extended (usage-driven) javadocs, and many things more. This demo introduces you to Eclipse Code Recommenders. It will demonstrate how you can leverage the collective knowledge of your team mates to improve your own productivity with no effort. Eclipse Riena is a modern client server framework for business applications. One central part of Riena is the customizable task oriented user interface which relies heavily on Eclipse RCP. 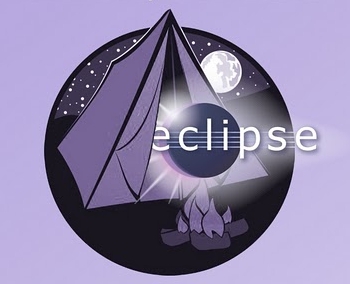 This talk will give you an overview about the key concepts of porting Riena to Eclipse 4. Software engineering is teamwork. TeamMode allows the creation of a tool-based model repository for developments teams that handle models of any modeling language. This Demo shows an example where two developers work together at a diagram and merge their results to a new diagram. We're pleased to welcome Kai Tödter to BREDEX on the 29th June to give a one-day training course on Eclipse 4. An agenda and further information, including registration details can be found here. This page was last modified 02:48, 27 June 2012 by Zeb Ford-Reitz. Based on work by Alex Schladebeck, Marcel Bruch and Gunnar Wagenknecht.